The “SUPERLOK” world’s safest tube fittings with the patented RED GAUGE RING. Using the Superlok will prevent over or under tightening tube fittings. Even Bubba will get it right every time. Simply tighten the nut until the RED GAUGE RING pops off for a perfect connection. These fittings interchange with all major brands. They work fantastic and you don’t have to pay the higher price other brands charge. The video below is a short 45 second video of how easy it is to NOT over or under tighten the ferrules. For more information please call or email JC Company. Vapor Recovery Units from Scorpion Environmental Systems, Inc. use a simple pressure controlled regulator setup that controls the tank vapor pressure to within the desired window and controls when vapor is taken from the tank vent very reliably WITHOUT ANY PLCs or VFD speed controls or bypass needed. 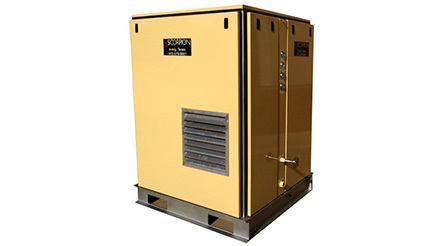 We use an Encapsulated Screw Compressor with a minimum of 80,000 hours bearing life that runs continuously to maintain an operation temperature that prevents condensate from diluting the Compressor Lube. Service is very simple and oil change intervals exceed 6 months of continuous operation. THE THING JUST RUNS! BTEX SYSTEMS, both ambient and forced draft. The forced draft systems are designed to cool to within a 2 degree F approach to ambient. Therefore recovering more condensate. The competitor’s Shell and tube condensers can only cool to nearly the temperature of the glycol. Usually around 140 degrees F.
For more information please visit Scorpion Environmental Systems, Inc. or call or email JC Company. Many Separators are available to solve your toughest applications. For example the Anderson Type LC, LCF, and LCR Separators are designed to eliminate 99% plus of all liquid entrainment of 10 microns and larger. Type LCC and LCCR are designed to eliminate 99.9% of all liquid entrainment of 1 micron and larger from air, gas, steam, and vapor pipe lines without causing any significant pressure drop. These separators are available for installations up to 600 PSIG and 500°F. Whether you need to detect or see a single fluid level or the interface of two liquids or all of these at once along with temperature JC Company has the answers. Depending on your application we may suggest sight gauges that allow you to see what is inside the vessel or tank. Magnetic Level gauges which eliminate glass but use a magnetic float to accurately tell you where your level is and offer the option of giving you temperature as well. Call or email JC Company to discuss your applications, the basic float switch or tuning fork or even temperature sensing level switches or transmitters may be the best solution. The “EPA” Environmental Protection agency gets excited when you have a tank battery overflow and spill out onto the ground or a pipeline burst or leak. JC Company can assist you in selecting the best products to prevent and or alarm you before these costly spills occur and cut down on expensive cleanups. Using flow no flow switches we can protect your pumps and other critical equipment too. If BS&W or mud are an issue in tank bottoms JC Company has a sensor to detect BS&W and mud. Once detected the sensor will signal you to take action or to shut in one of our automatic valves. Maybe you need to monitor the level or amount of sand cement powder feed grain or other solids in a Silo. JC Company has the solution. Other Level/Flow-No Flow Monitors - to fit the application. Whether you need a valve to automatically Open, Close, Dump, Throttle Control, or Divert JC Company has the answers. Let’s discuss your application to determine whether you need an Electric, Pneumatic or Hydraulic Actuator. You may have a critical application requiring a failsafe emergency shutdown spring return or battery backup. Or you may just need a basic Solenoid valve. Let’s talk. 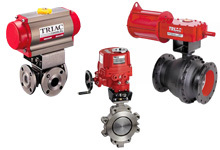 Other Automatic Valves & Actuators - to fit the application. Out of control high pressures can destroy pipes, separator vessels, storage tanks, instruments, and much more besides causing injury to personnel. Vacuums can also do huge damage to storage tanks. 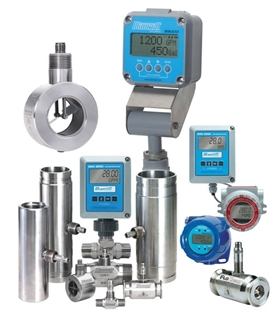 JC Company can help you select the best pressure regulators, transmitters, switches, relief, and vacuum valves. Maybe you need to alarm or automatically shut down or start equipment due to high or low pressure or temperature. 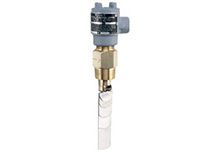 JC Company will take care of that with the right pressure, temperature switches or transmitters. 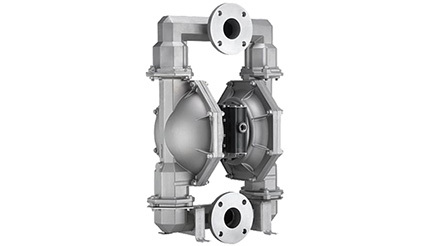 With AGI Industries, JC Company offers a complete range of pumps and related products including, centrifugal pumps, chemical metering pumps, positive displacement pumps and accessories from manufacturers like Flowserve, Milton Roy, IMO, ARO, FMC, Young Engineering & Manufacturing, Blacoh, Allweiler, Schlumberger Reda, Watson Marlow / Bredel, Roper, Hydroplex, Sidewinder, Williams, Linc, Warren, Vertiflo, Cascade, Zenith, Cortec and many more to service the onshore and offshore Oil and Gas Industry, the Chemical Process and Hydrocarbon Process Industries, Power Generation, Pulp, Paper and Wood Products industries and most other markets where fluid must be moved reliably. The key purpose of meters is to accurately measure the amount of liquid or gas you are selling or buying. But there are many types to choose from. Do you need a Turbine, PD Positive Displacement, MAG Magnetic, Insertion Thermal Mass, Ultrasonic Clamp on or other design? JC Company, has years of experience and can help you determine the best meter for your application. Other Meters - to fit the application. If you are working with liquids and gases and need level, pressure, or flow controls, call or email JC Company. Copyright © 2013 - 2019	jccotx.com. All Rights Reserved. Design & Hosting by Relative Marketing & Design.